England may not have claimed the big prize in Russia this year, but they have won back the hearts and minds of a nation. Their record-breaking run to the semi-finals has certainly been part of it, but arguably it is what has happened off the pitch that has been most effective in changing their positioning in the eyes of the nation. At the time of Gareth Southgate’s appointment, sentiment for the national side had never been lower. They hadn’t won a knockout game at a major tournament for twelve years, and had been knocked out by Iceland at Euro 2016. The previous manager, Sam Allardyce, had left after just one game when he was caught up in a football corruption scandal. It had been a generation of failure perpetuated by overpaid, overrated players with overinflated egos. Now, less than two years on, the team are heroes. 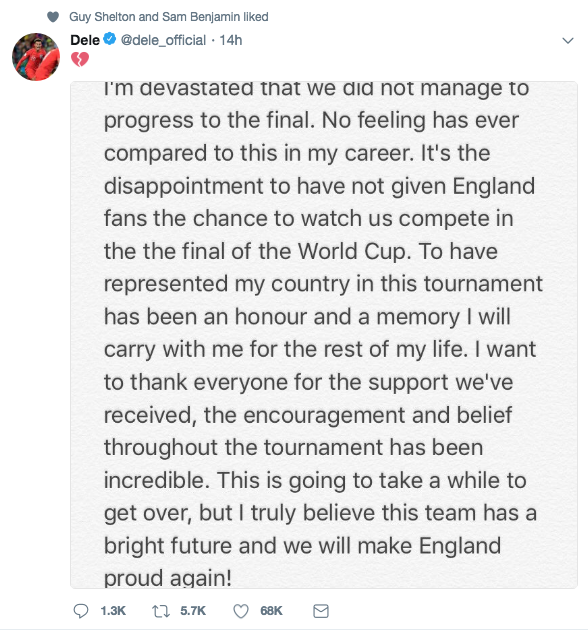 Even though England went out before reaching the final, fans and the media aren’t vilifying the team, manager or an individual player for the failure, as has happened at other tournaments (Beckham, Hodgson, Southgate himself). Instead, the overwhelming sentiment is pride. How did this happen? Football is part of our national identity, it’s our sport, and we yearn to be the best in the world again. Every time an England team steps out on to the pitch we’re trusting those players with our hopes and dreams, and we expect them to play for us. With recent England teams there has always been the feeling that the players have been putting their own interests first, which has led to the disconnect between fan and player. With this England team however, the ego has been stripped away. In an advert for Lidl England players train with children, who teach them how to roar like lions, what pressure really is, and how to perform better goal celebrations. A contractual obligation perhaps, but they were genuinely enjoying themselves, and delighting the youngsters. It may be unfounded, but it’s hard to imagine a player from the previous generation such as John Terry or Wayne Rooney doing similar. Later at the tournament they were pictured with inflatable unicorns, then later training with a rubber chicken. Hardly the behaviour of the self centred prima donnas fans have become used to. In every interview they have been careful to always direct the conversation towards the team, and how they are playing for the people back home. Even on their own personal social media channels the players have been talking about the team and the fans first, themselves second. 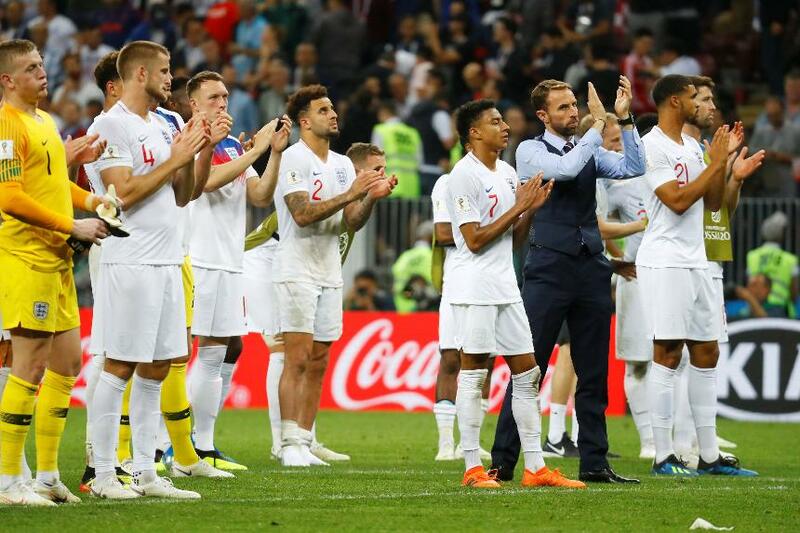 They are led by Southgate himself, who navigated the tournament calmly and quietly, showing decency, integrity and humility. A shot of him comforting a distraught Columbian player after he missed the decisive penalty led to the hashtag #GarethSouthgatewould, which people tweeted followed by acts of kindness and humility, and he is now regarded with the same affection as Olympic heroes after London 2012. The FA must be applauded too – much of this positive behaviour has grown from the player’s time at St George’s Park in Staffordshire, the FA’s national football centre. Opened in 2012 (and interestingly based on the system used by the French), it has brought together all 28 national teams and instilled in them the appropriate conduct through leadership courses and a positive team culture that exists at all levels. So a change in behaviour has completed a 180° turnaround in positioning, but will this goodwill last if the team fail miserably at Euro 2020? It’s hard to tell, but as England fans we are used to losing. What we aren’t used to is players acting with decency and humility – long may it continue.